Why did one man go on a run away spree after being pulled over? 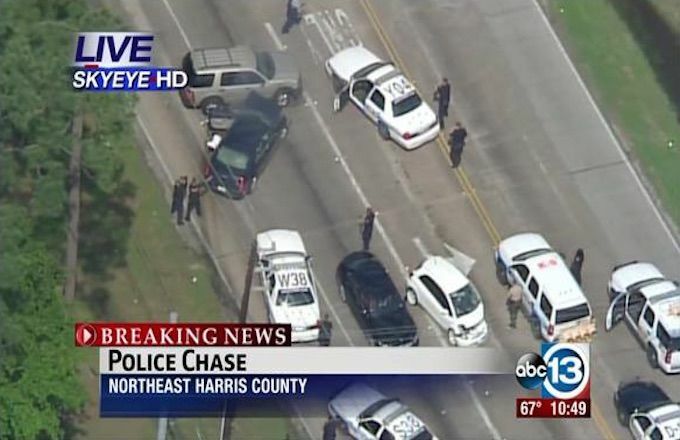 TV viewers have been left open mouthed after the airing of the live shooting death of Houston, Texas man Frank ‘Trey’ Shepherd, 41 as he led cops on 20 minute high speed car chase. 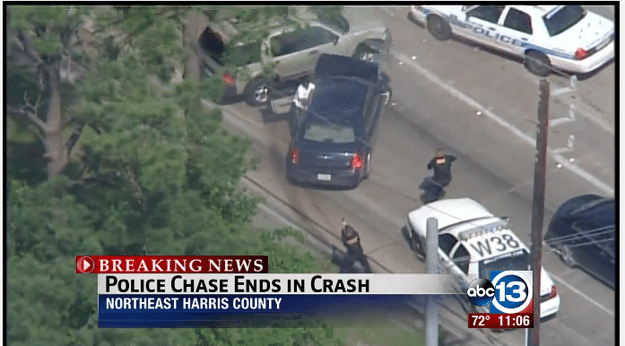 According to report via the Houston Chronicle, the father of three led cops on a chase after police officers attempted to pull over the man over a traffic violation. Ironically as the chase was being shown on live air tv, the man’s uncle, Chris Shepherd watched on, unaware that the man leading cops on a wild chase was his nephew. After pulling up ahead of the schools, Shephard, is seen getting out of his car only to then turn around suddenly and reach back inside his automobile. A gesture that was met with a volley of gunfire as the man who worked as a barber re emerged, killing the man whilst news helicopters hovered overhead. Witnesses would tell officers then covering the man’s body with a white sheet with his blood seeping the asphalt. At present it is not necessarily understood why Trey Shepherd fled cops initial’s overtures to pull over. .
Like the uncle said, “Why would you run from the law?” Sometimes, this is the dumbest things one can do.